You may already know that in March we celebrate Women’s History Month, but did you also know it is Social Work Awareness Month? For this special feature, we have interviewed Nancy Wackstein, social worker, activist, and NMIC supporter. I am a baby boomer who came of age protesting the status quo, whether it was against the Vietnam War or for the right of girls to wear pants to school. Activism sort of became baked into my life and my career. 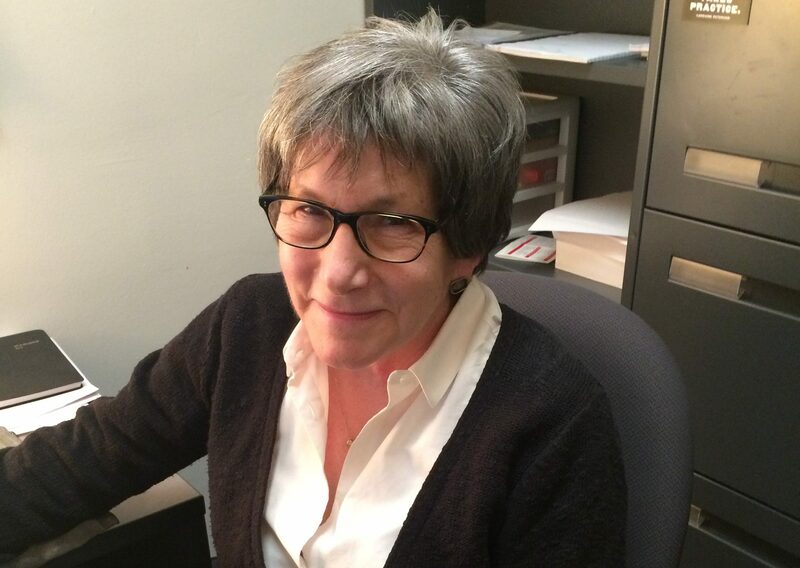 Since receiving her degree in Social Work from Columbia University in 1979, followed by her masters, Nancy Wackstein has been committed to her altruistic values and developed a long-standing career with NYC government and non-profits, focused on policy and advocacy as well as direct service in the community. Today, Nancy works as the Director of Community Engagement & Partnerships at Fordham University’s Graduate School of Social Service. In the span of 24 years Nancy successfully led two nonprofits, Lenox Hill Neighborhood House and United Neighborhood Houses of New York (UNH). In fact, it was during her tenure as Executive Director of UNH that NMIC became an official member of the coalition. In her early days of social work Nancy worked for NYCHA at an East Harlem housing project and as a para-professional in a NYC Public School for at-risk boys on the lower east side. These experiences on the frontline of social work made the inequities in our society visible, especially including the addition of race, gender, class, and age can impact the degree of inequality. One of the biggest challenges for the human services sector is adequate funding. Where government funding falls short, it is individuals, foundations, and businesses that close the gap in funding. Programs like NMIC’s Education & Career Services to our free Legal counsel and representation for housing disputes and immigration aim to bridge the gaps that exist in our society, that minorities and the economically disadvantaged often find themselves lost in. Consider donating to support these free programs and services we offer to the community. Nancy is just as passionate today as she was at the beginning of her career to see the injustices of society eradicated, and we can all do our part to do just the same. Are you interested in joining Nancy and making a difference? Email us at info@nmic.org.